Without dental radiographs, you can’t see the whole picture. A digital dental x-ray machine is so important when fully evaluation your pet’s dental health. A number of very important dental problems occur below the gumline where they can’t be seen on oral exam alone. These problems are easily visible with the use of dental radiographs. 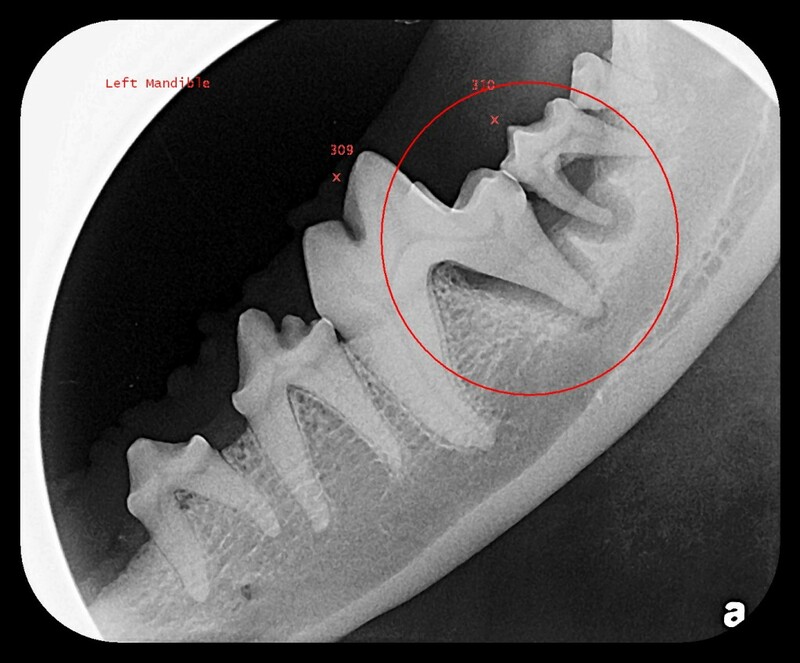 In the following image taken with our dental x-ray machine, you can see advanced dental disease in this animal indicated by the erosion of the bone around the roots of the teeth. This would have been very difficult to diagnose and localize without the aid of dental radiography. Don’t let your pet’s dental issues go undiagnosed. Schedule a dental cleaning at Hunters Glen Veterinary Hospital today. We have an advanced dental suite that is fully equipped for digital dental x-rays.